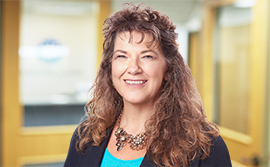 Beth has been in the insurance industry for over 30 years, as an underwriter, as a broker and as an agent. In 1998 Beth founded First Choice Insurance Services, a property and casualty agency which she grew and ultimately merged into Dyste Williams Agency in January of 2015. The foundation of the agency was built on honesty and integrity with a commitment to exceptional service to our companies and clients. She enjoys music, reading, cooking and baking, gardening, traveling, her cabin “up north” and working really hard. The Twin Cities Five Star Business Insurance and Benefits Professional Award in 2011 and 2012 by Twin Cities Business Magazine. This award is given by clients and peers in the industry. Beth earned and has held the Certified Insurance Counselor (CIC) designation since 1990 and attends nearly 40 hours of continuing education each year. She currently teaches continuing education for the NAIFA, SCORE, and Certified Insurance Service Representatives. Currently Beth serves as a Trustee for NAIFA.